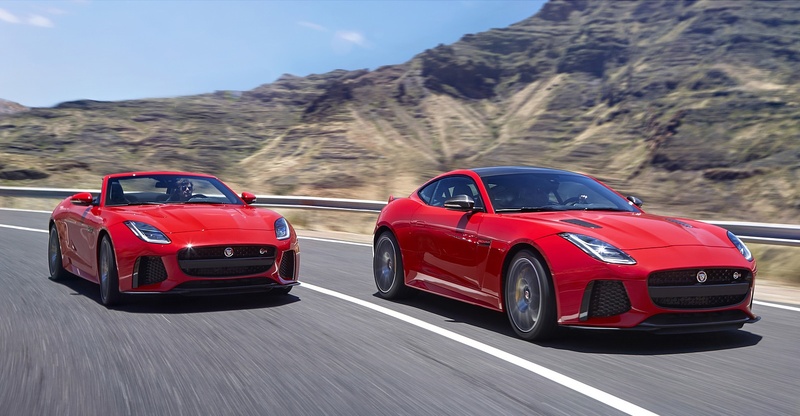 “Jaguar F-TYPE will get a fresh look and GoPro integration for 2018 model year. 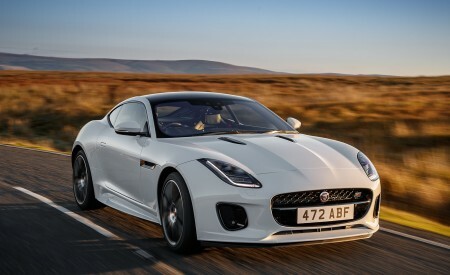 Along with headlight and bumper facelift, F-TYPE coupe and convertible now come with 8kg lighter, and more comfortable, seats. 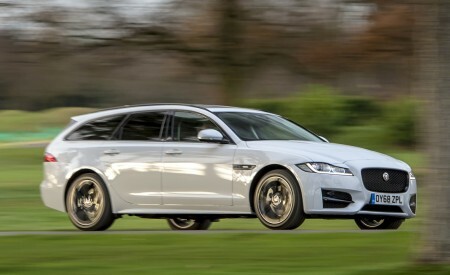 A special 400 SPORT launch edition is all-new with 400 hp 3.0-litre supercharged V6 engine. 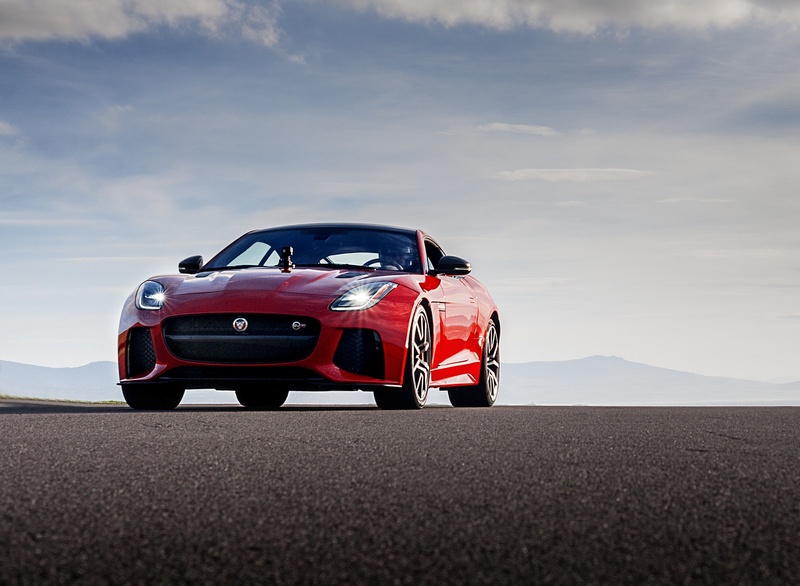 In collaboration with GoPro, Jaguar has integrated cameras for high-quality videos and real-time data. 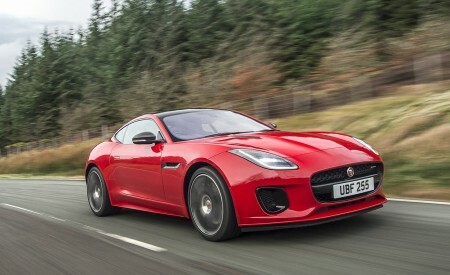 Also new for 2018 F-TYPE is the standard Touch Pro infotainment system, available across all trims.” Ed. 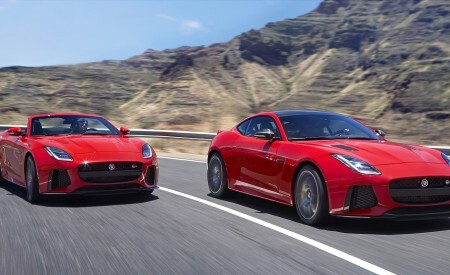 Already recognised as the most dynamically capable, performance-focused Jaguar, the F-TYPE sports car continues to evolve, with a fresh look, state-of-the-art infotainment system and world-first ReRun app that combines vehicle data with GoPro video to enhance the driving experience. 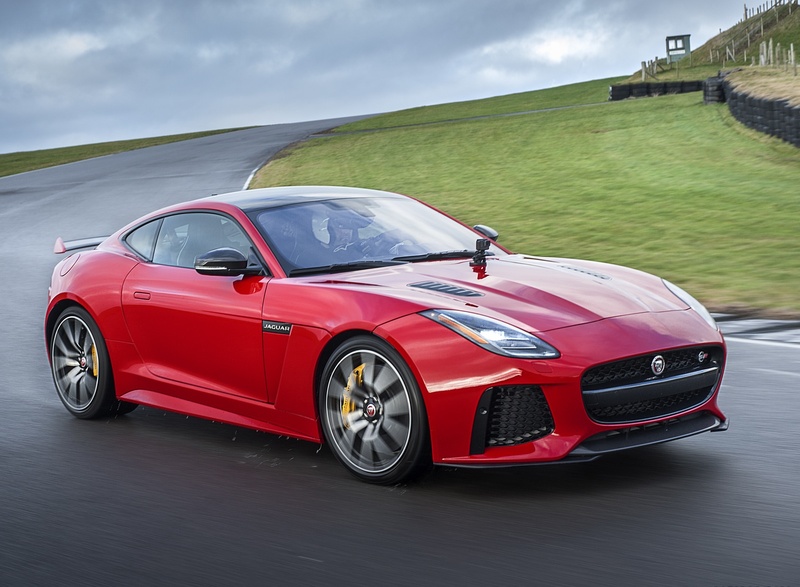 The new F-TYPE range offers even more driver-focused technology and a broader model range than ever, comprising 28 derivatives from the purist appeal of the rear-wheel drive, 340PS F-TYPE to the 200mph, all-wheel drive F-TYPE SVR – Jaguar’s all-weather supercar. 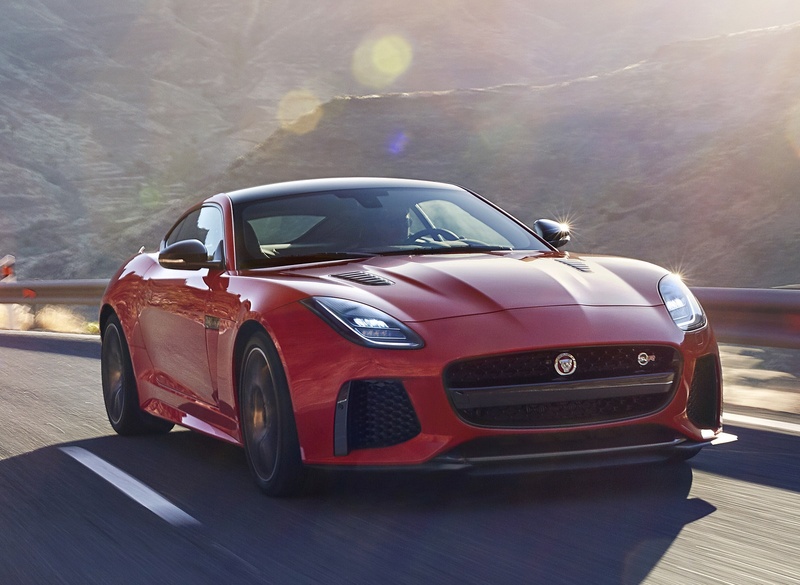 To mark the introduction of the new F-TYPE range Jaguar has developed the exclusive 400 SPORT launch edition, which will go on sale worldwide but for one model year only. 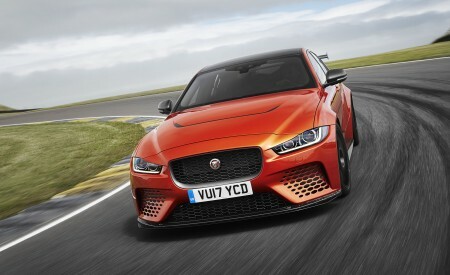 Power from the new 400PS version of the 3.0-litre supercharged V6 engine is complemented by an uprated chassis comprising the Super Performance braking system, Configurable Dynamics and 20-inch wheels with a unique Dark Satin Grey finish. The R-Dynamic model is new to the core range. 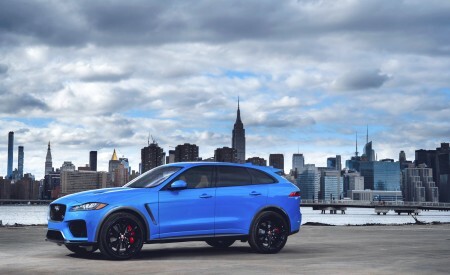 This specification is available with both the 340PS and 380PS versions of the supercharged V6, broadening customer choice, and is distinguished by 19-inch and 20-inch alloy wheel designs and by the front bumper’s Gloss Black aperture bezels. The distinctive Gloss Black finish is also applied to the front splitter, bonnet vents, side sills and rear diffuser. 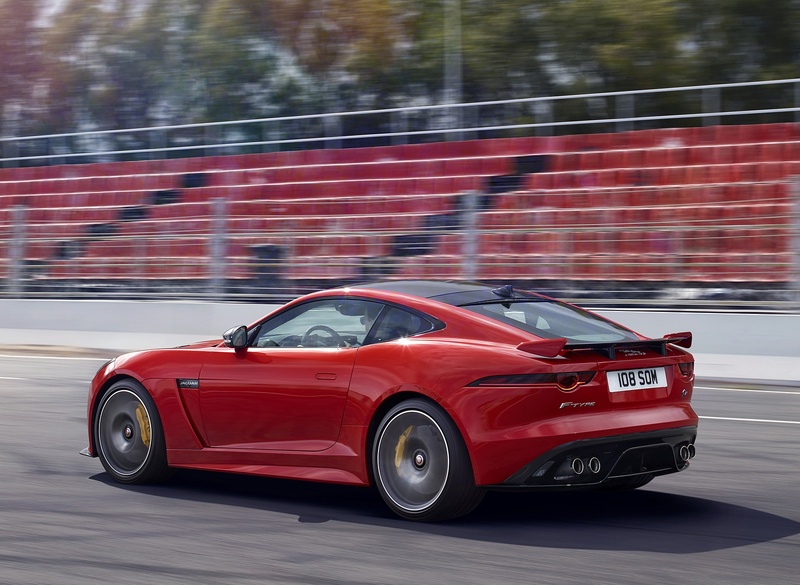 The 2018 model year F-TYPE’s interior, like the exterior, evolves into a purer, more concentrated expression of the car’s original elegance and sportiness. 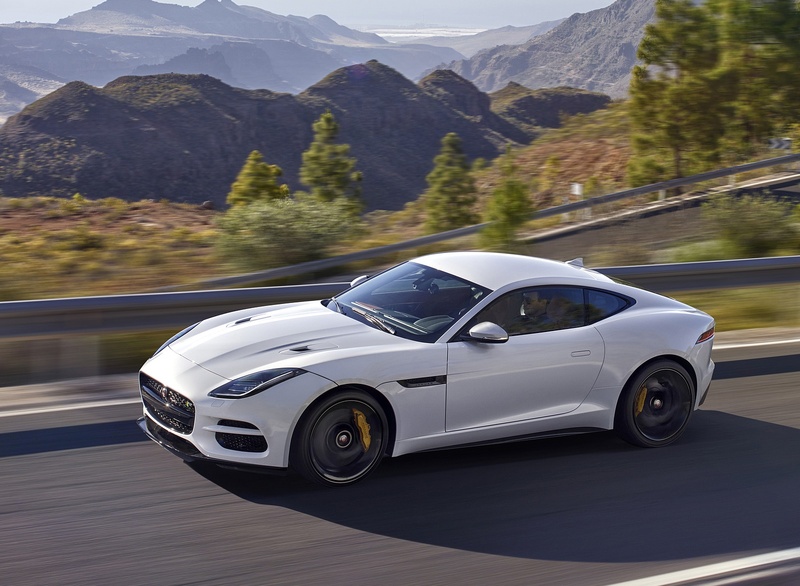 Jaguar’s interior designers focused on refining a handful of key elements to create a greater sense of harmony in the finishes, enhance the sense of balance between luxury and performance and to introduce new material options that give the car an even more exotic feel. One of the most significant upgrades are the new lightweight slimline seats which combine an ergonomically-optimised form with outstanding comfort. The seat’s flowing contours and sculpted surfaces also contribute to the F-TYPE interior’s heightened sense of anticipation and poise. 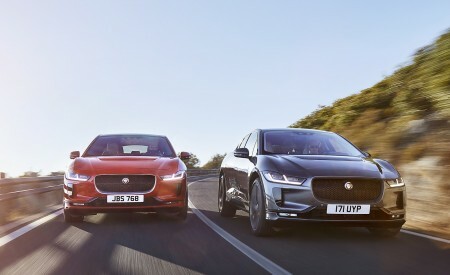 The seat frames are pressure diecast magnesium alloy – a material with the high strength-to-weight ratio and excellent formability required for the ergonomic form of Jaguar’s innovative seat design. The weight saving compared to their predecessors is more than 8kg. The more supportive backrest bolsters and the seat’s upper curvature provide the driver with exceptional lateral support, heightening the sense of connection between the driver and the car for an even more rewarding driving experience. The design also allows the seatback to move rearwards by up to 50mm more than before, which in turn enables a lower seating position and increased legroom. Previously exclusive to the F-TYPE SVR, the Siena Tan leather interior is now offered throughout the range. Paired with the Performance seats, Siena Tan creates a more sportive environment which reflects the sports car’s dynamic personality and perfectly offsets exterior paint colours such as Carpathian Grey. 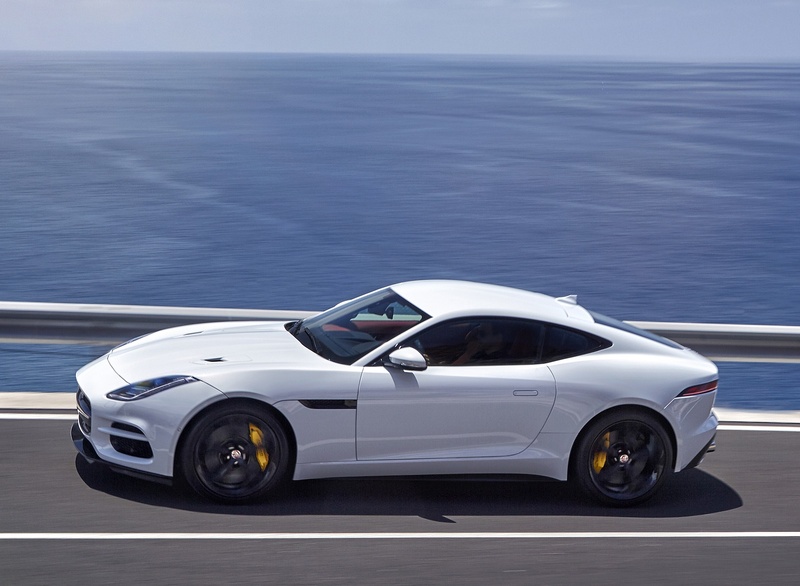 Jaguar’s design team has carefully refined the interior to produce a more concentrated expression of the F-TYPE’s original style. All models now feature a Satin Chrome finish on the engine-start button and gearshift paddles. A Noble Chrome finish is applied – as a jewel-like accent – to the door switch packs, air vent bezels and steering wheel, bringing stronger visual harmony to the interior design. 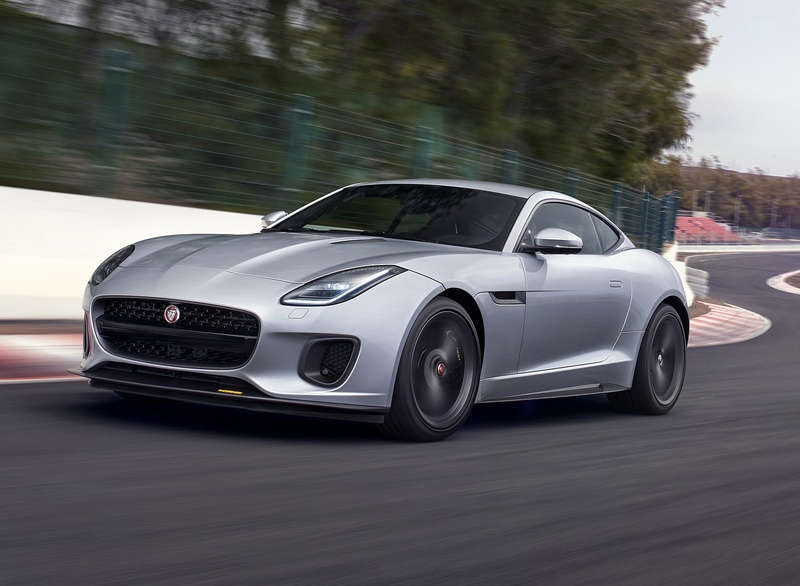 The centre console gains three new finishers to further differentiate the models in the range: the F-TYPE now sports a simple, knurled aluminium finish, in R-Dynamic models the new Delta aluminium finisher adds a sportive feel, while R models are differentiated by a Linear Vee aluminium finish with the iconic “R” etched prominently into the surface. A carbon fibre console finisher is now available as an option across the range. 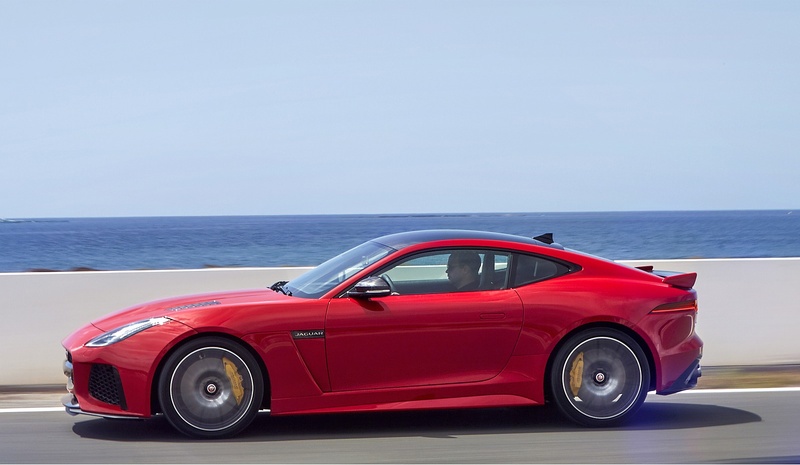 The state-of-the-art Touch Pro system comes to the F-TYPE for the first time, bringing unprecedented levels of in-car technology, from navigation that can tell your friends when you’ll arrive to a Spotify app that can recommend playlists, to the ReRun app developed in collaboration with GoPro. True enthusiasts will be able to capture and share their driving experiences using the new ReRun app developed in collaboration with GoPro. 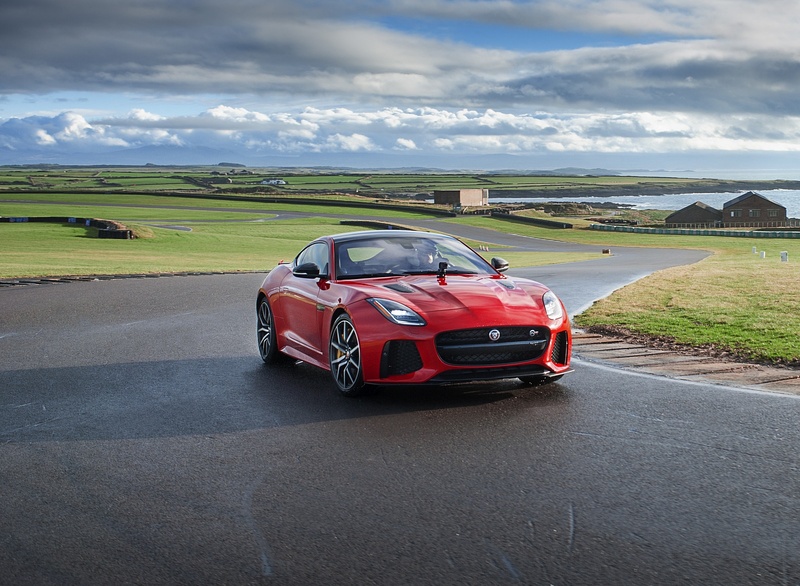 In a world-first, ReRun enables real-time video from the GoPro camera to be overlaid with key performance data from the new F-TYPE, including speed, throttle position, gear selection, braking force, g-force and steering wheel angle. The data is displayed using animated gauges. 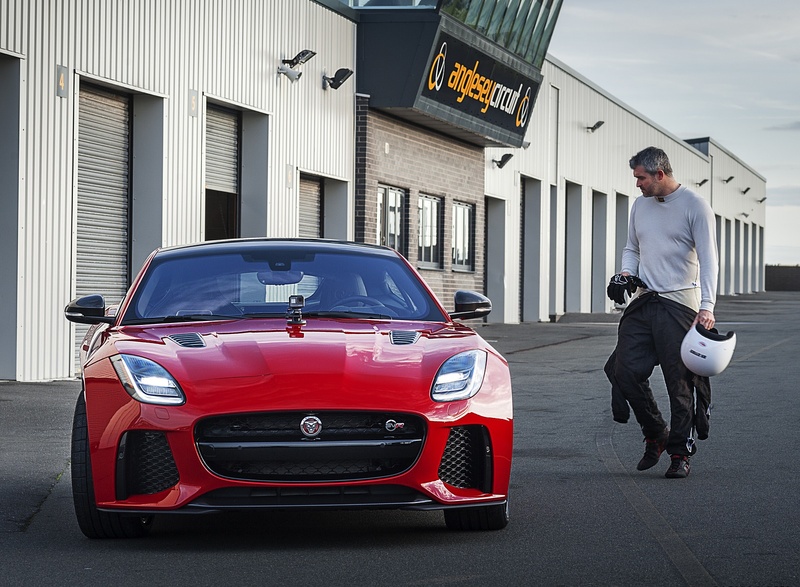 With the smartphone connected wirelessly to the GoPro and to the new F-TYPE’s infotainment system via USB, drivers are ready to start recording. Performance data is taken directly from the vehicle’s electronic control networks to the ReRun app, allowing it to be overlaid in real-time with the footage from the GoPro. A unique feature analyses the data to capture highlights such as peak cornering and braking forces. The ReRun app allows drivers to download either the entire video with highlights included, or just the highlights – and there’s also an editing function. The high-quality videos are easy to share via social media platforms, making it possible for the driver to post their driving experiences across the internet. 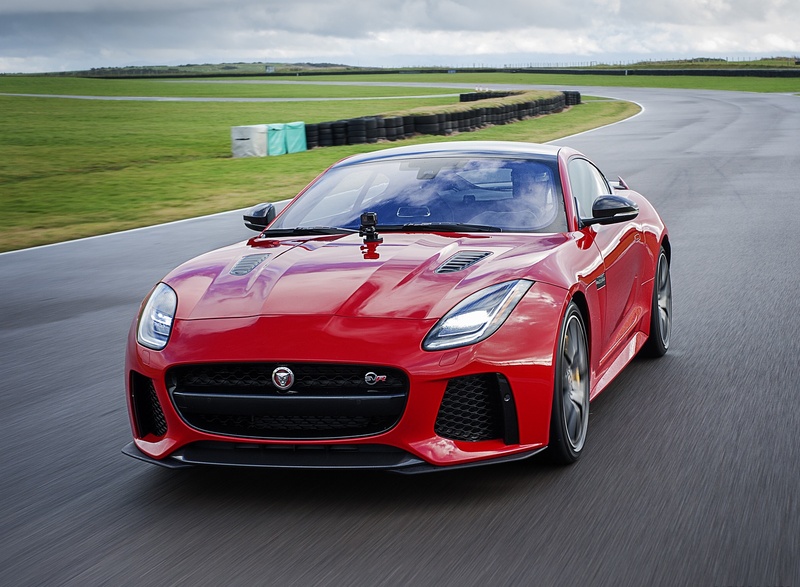 ReRun is compatible with all new F-TYPE models equipped with InControl Apps, and with iOS devices and GoPro’s HERO5 Black, HERO5 Session, HERO4 Black and HERO4 Silver cameras. ReRun is available in English, French, German, Italian, Portuguese and Spanish language formats. 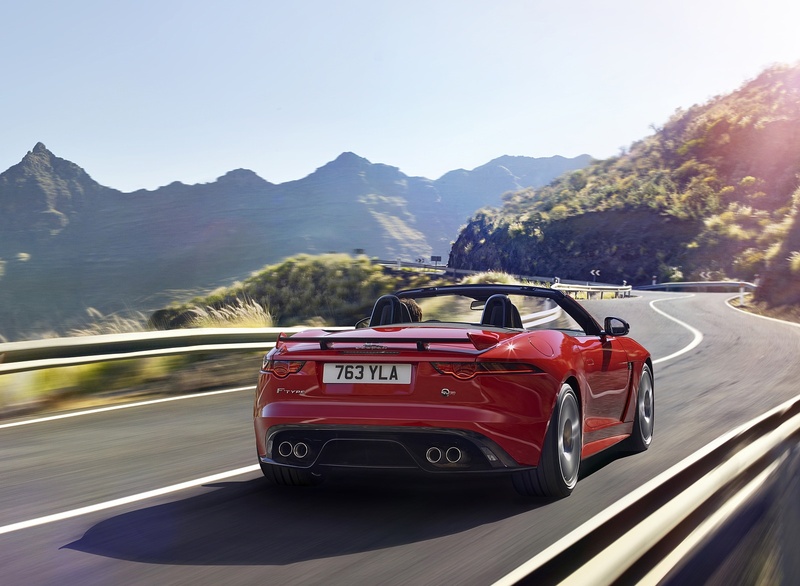 Touch Pro is the most advanced infotainment system ever offered by Jaguar and is now standard equipment across the entire F-TYPE range. Designed and developed around state-of-the-art technologies including a powerful quad-core processor, high-speed 60GB Solid-State Drive (SSD) and an ultra-fast Ethernet network, Touch Pro delivers world-class performance and functionality and an outstanding user experience. The system’s eight-inch capacitive touchscreen features superb quality graphics and the homescreen can be customised and widgets added to provide shortcuts to specific features and functions. It’s even possible to add additional customised home screens if desired. Data stored on the high-speed SSD can be accessed far more quickly than with conventional hard drive technology, making the graphics incredibly responsive. Zooming in and out of maps couldn’t be simpler thanks to ‘pinch’ and ‘pan’ gestures – just like on a smartphone or tablet. A 4G data connection enables access to a suite of smart, location-based features. For example, enter a destination and Fuel Finder will check if there’s enough fuel in the tank to get you there. If not, this will be flagged and filling stations on the route that are within range are displayed on the map: tapping on one of them is all it takes to add it as a waypoint. Fuel prices can also be shown. Touch Pro’s smart navigation features can help you even as your journey is coming to an end: Arrival Mode adds a 360° interactive view of your destination alongside the map display when you’re some 200 metres distant – it can even show you where the nearest available parking spaces are and then direct you to them. A companion app for iOS and Android smartphones enables true door-to-door route planning and guidance and can even help you to complete the final stage of your journey on foot. 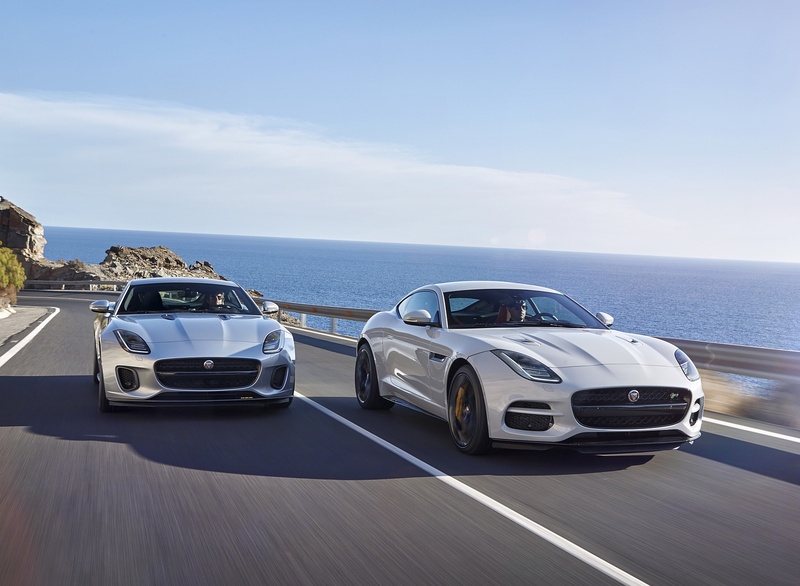 The app also enables synching of routes and destinations between devices and the new F-TYPE’s Touch Pro system so that routes can be set in advance and uploaded automatically once in the car. 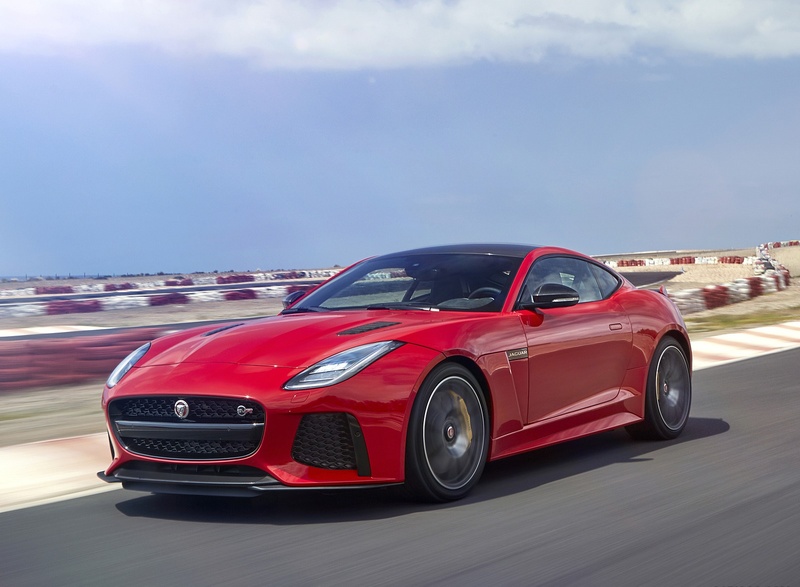 InControl Touch Pro provides outstanding audio performance too, and offers a choice of two systems developed specifically for the new F-TYPE with experts from world-renowned British firm Meridian. The standard-fit system has 10 speakers, while the optional Surround Sound system features 12 speakers and delivers exceptionally clear, crisp sound optimised for both driver and passenger. The experience is enriched with Gracenote album art stored on the SSD drive – a massive 10GB is dedicated to user media storage. Touch Pro also has smart functions such as ‘Play more like this’ which automatically compiles playlists, or Music Queue, which makes it easy to search for and add songs, albums or artists to a music queue while the current track is still playing. 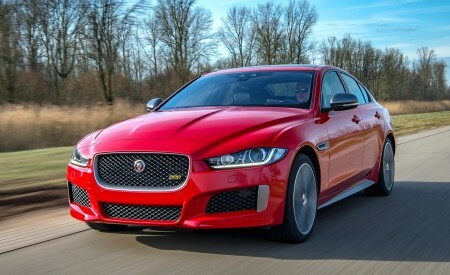 Jaguar Land Rover is on a mission to transform the way customers listen to music in cars, which is why a unique app was developed in collaboration with Spotify for streaming music. Accessed using InControl Apps, the app mirrors the Spotify interface that users will recognise from their smartphones – intuitive swipe and touch gestures are used to navigate content, helping to minimise distraction. Tapping into Spotify’s ‘deep learning’ which recognises listening habits, users can access ‘Just for You’ playlists containing recommended tracks, saving time when scrolling through music on the move. Drivers in low-signal areas don’t need to worry, as Spotify’s ‘Offline Mode’ will display downloaded content even if there’s a poor internet connection.